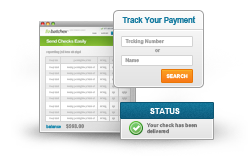 Keep track of the printing, processing, or sending of your payments. We can reconcile all payment types too. 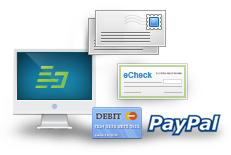 We provide a simple, secure online solution for cost- effective outgoing payments—either electronically via PayPal or with check printing and mailing. 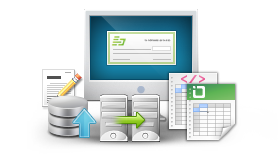 We provide facility for large file uploads or manual form fills, for our more technically savvy customers we provide API’s that can be used to integrate with their in house systems. Account setup is simple and secure. Only pay for the checks and outgoing payments you need, when you need them. Batchex will begin to wind down their services on July 11, 2012 for an indeterminate amount of time in order to seek a round of funding needed to continue operations.